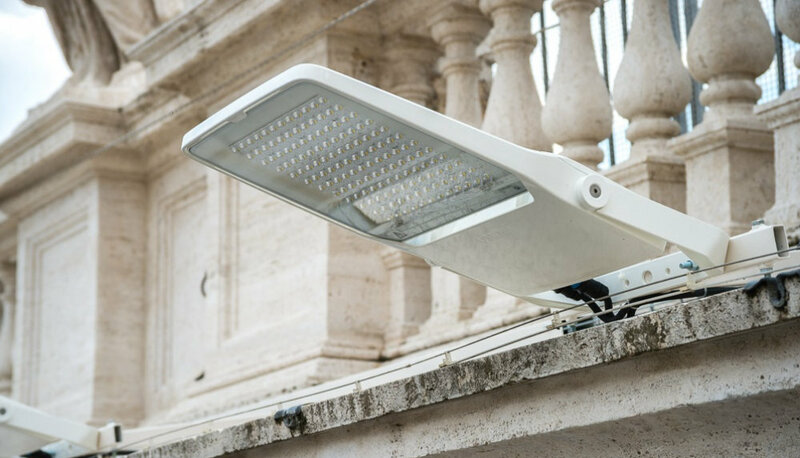 OSRAM lends St. Peter's Square in Rome a new sense of radiance. Following refurbishment, modern and energy-efficient outdoor LED luminaires provide a unique lighting experience and also save energy of approximately 70 percent. The project concept by Direzione dei Servizi Tecnici del Governatorato dello Stato della Città del Vaticano was realised with support from OSRAM, the reference partner for global lighting expertise. 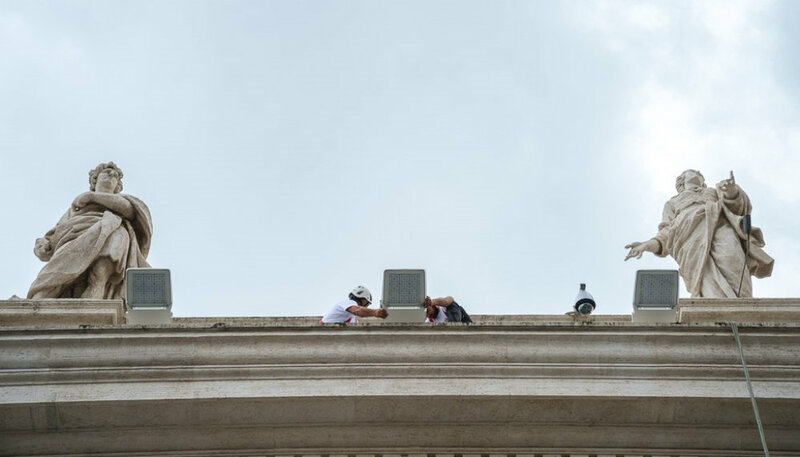 "We have gained recognition worldwide since October 2014 for our state-of-the-art LED lighting of the Sistine Chapel, and we're exceedingly pleased once again to have demonstrated in Rome our strengths as a provider of complex lighting solutions with the illumination of St. Peter's Square." 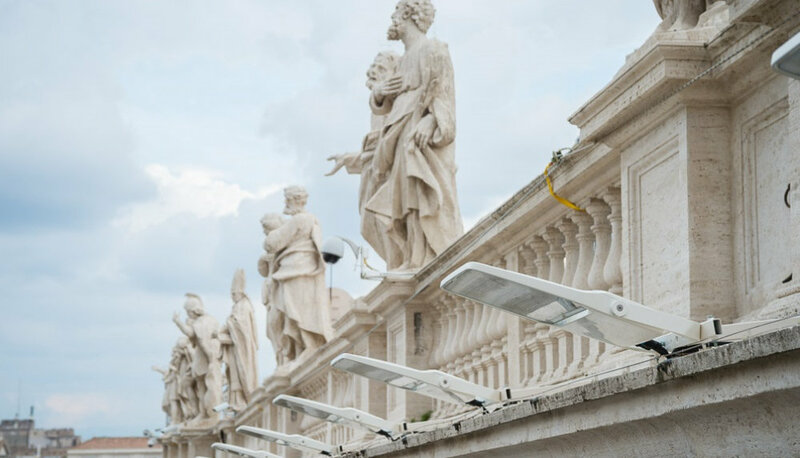 The Vatican specified an illuminance level of up to 120 lux at night to provide safety for visitors and to even enable reading on the square during events and celebrations. 132 LED floodlights were installed, providing sufficient brightness and homogeneous illumination for the square. The new lighting lends the existing architecture and materials a visual upgrade – the light underlines the impressive columnar architecture and emphasises the innate colour of the marble. Ecological sustainability is simultaneously addressed, and for this reason the lighting concept focused on cutting power consumption and avoiding unwanted light immission. "Thanks to modern LED technology in combination with a DALI light management system we achieve energy savings of around 70%," added Carlo Bogani, Executive Project Director at Osram Italy. Media contacts on "St. Peter's Square"